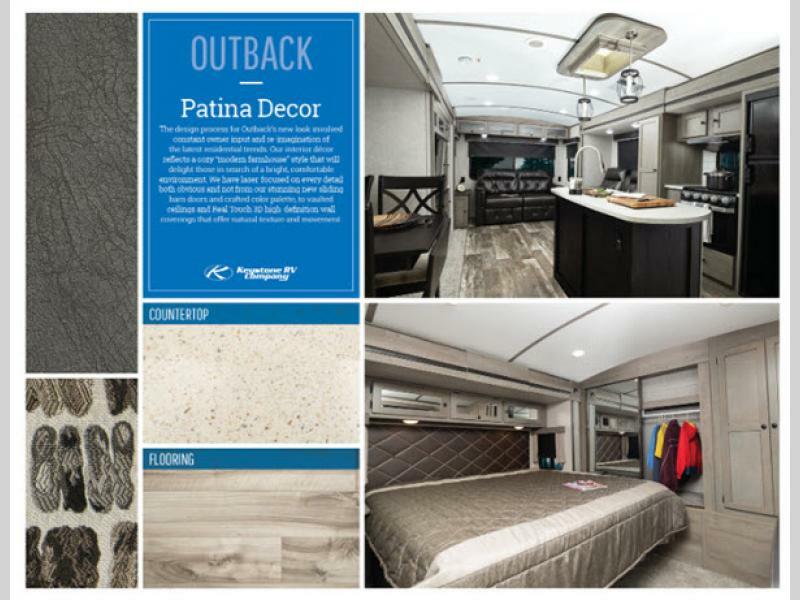 Whether you're looking for a unit that will provide superior comfort and quality as you take a quick weekend getaway, or you're interested in extending your trip into a cross-country adventure with a unit that will deliver home-like conveniences all along the way, the Keystone Outback travel trailer or toy hauler is your best choice! 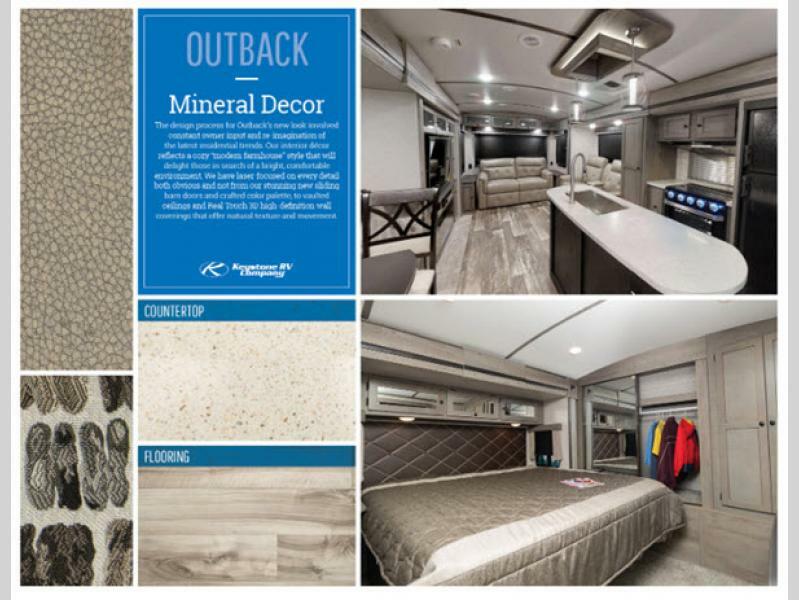 From its large panoramic windows to its vaulted ceiling, the entire interior of the Outback will not only feel open and spacious, but it will also feel luxurious and elegant. With a skylight over the tub in the bathroom, two floor lights, a fireplace, and LED lighting located throughout each unit, you will always find plenty of illumination while you party during the day or the night. 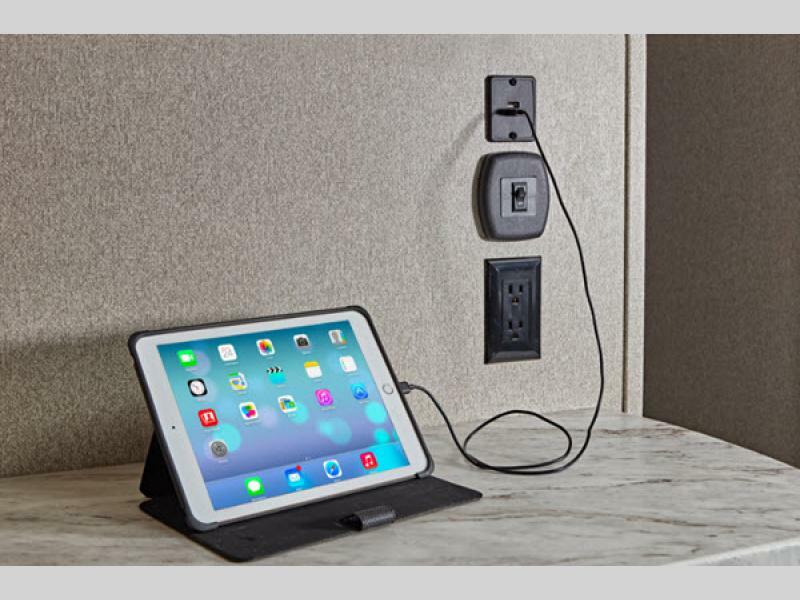 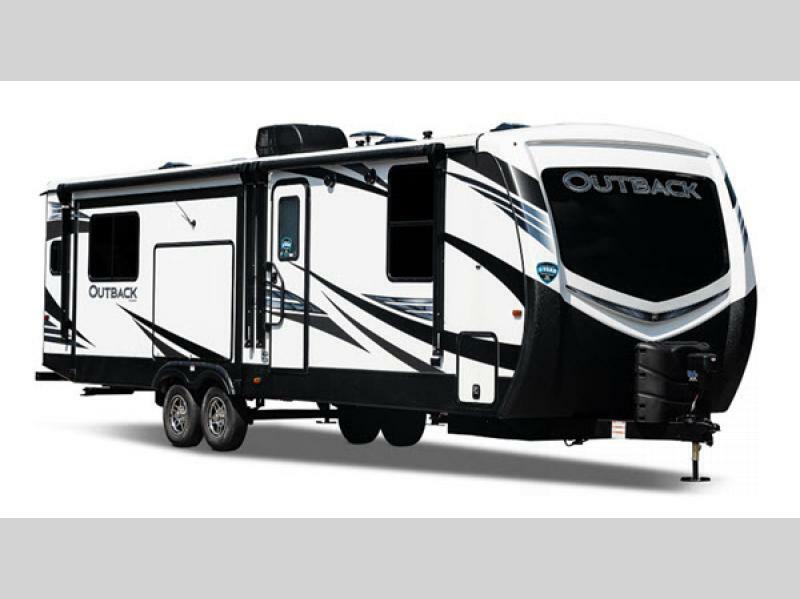 Experience the road like never before in a unit that truly has been designed for a lifetime of RVing: the Keystone Outback travel trailer or toy hauler!